Make Space �C Allow the project to grow and develop in unpredictable ways. Get it Right �C Insist on finding the right answers to the toughest questions. Make a Difference �C Reach beyond your grasp to accomplish the impossible. Energize People �C Create an emotional environment filled with challenge. 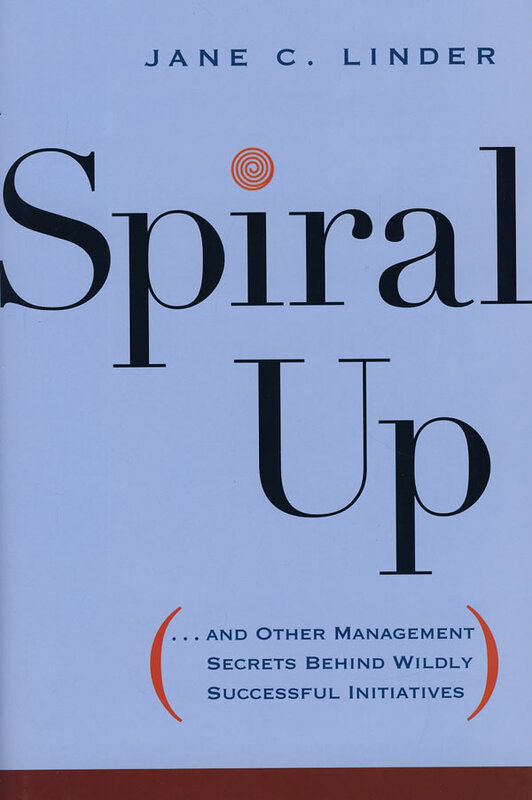 Spiral Up �C Don’t stop with a single achievement; use it as a step to greater success. From developing a virtual reality simulator for underwater mining equipment to saving an Ohio oil refinery from closure, Spiral Up presents accounts of everyday project champions who have produced breathtaking results . . . and shows readers how to do the same. Jane C. Linder (Charlestown, MA) is President of The Progress Board, a consulting company that helps clients put their good ideas to work. Previously, Dr. Linder spent more than 8 years at the Accenture Institute for High Performance Business, where she conducted research studies and worked with clients that included Verizon Wireless, Unilever, and Hershey’s Chocolate.